When my friend came to visit a couple weeks ago, we also took a field trip to the Chamblin Bookmine. 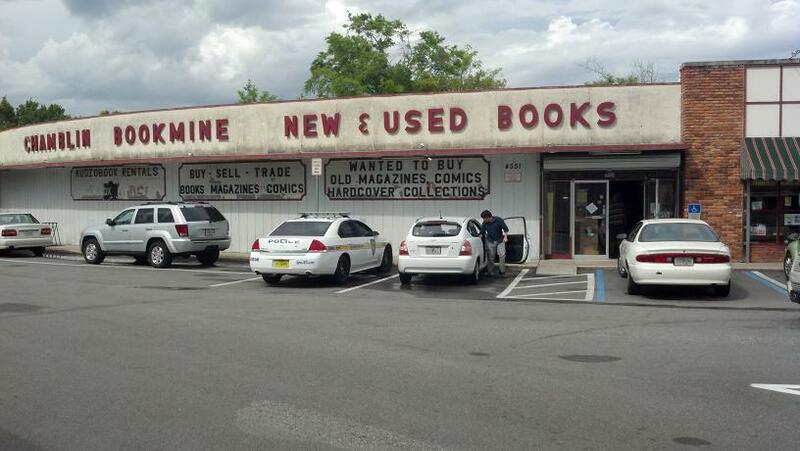 The Chamblin Bookmine is a new and used book store. 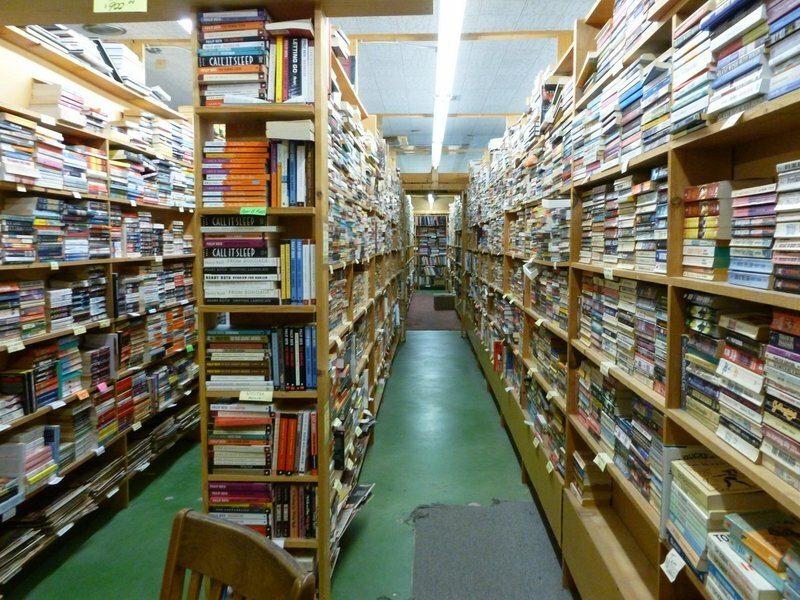 It’s not necessarily the best place to find cheap books (all of their used books are half off the cover price), but if you are looking for an old or unique title, or 30 copies of Amy Tan’s Joy Luck Club, you’ll be sure to find it at Chamblin. It is also a great place to “get lost” in books. There are nooks and crannies filled with titles including a closet without a door containing every Hardy Boys and Nancy Drew novel ever written. I found about 40 copies of F. Scott Fitzgerald’s The Great Gastby in the classics section. They also have new books and books for every school list in the area displayed prominently near the registers. Chamblin also functions as a book exchange. They will accept used books in exchange for a small amount of store credit. They also have numerous rare books that can be viewed on their website. Wandering through Chamblin reminded me of my first week on campus at UC Santa Barbara so long ago. I went to the campus library several times during my first week. I never went to do actual work (that came later in my college career). I went to “get lost” in the stacks. I found copies of the journal Science dating back to the early 1900’s just sitting there on the shelves, I found a reading room on the top floor with a view of the ocean, I found maps of strange places. It was an eye-opening experience that I could have so many books at my fingertips, and near limitless knowledge within my grasp. I got that same feeling at Chamblin, like I could pick up any title and it would make me smarter in some way. I would definitely recommend a trip to the Chamblin Bookmine if you are in the Jacksonville area and like books. They definitely have something for everyone!